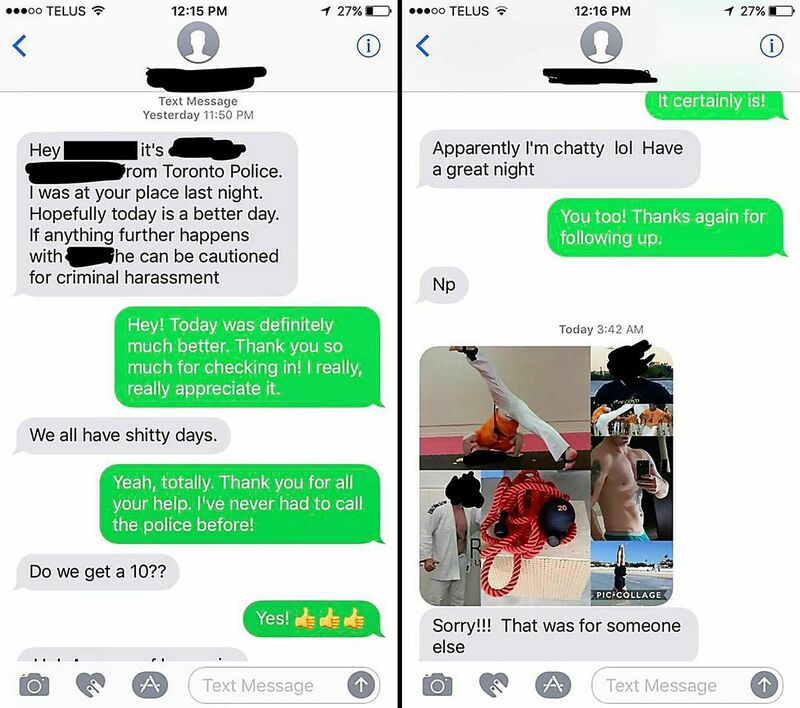 One day after police were called to a domestic incident, the female victim received a text from one of the cops who had arrested her ex-boyfriend. The message from Const. Jeffrey MacArthur was professional at first. He advised that if anything further occurred, her ex could be cautioned with criminal harassment. “Hopefully today is a better day,” he wrote in a text at 11:50 p.m. on May 27, 2017. When the woman responded to thank MacArthur for checking in, he continued texting, at first saying, “We all have s----y days,” then asking, “Do we get a 10? ?” apparently inquiring about the service he provided alongside his partner. 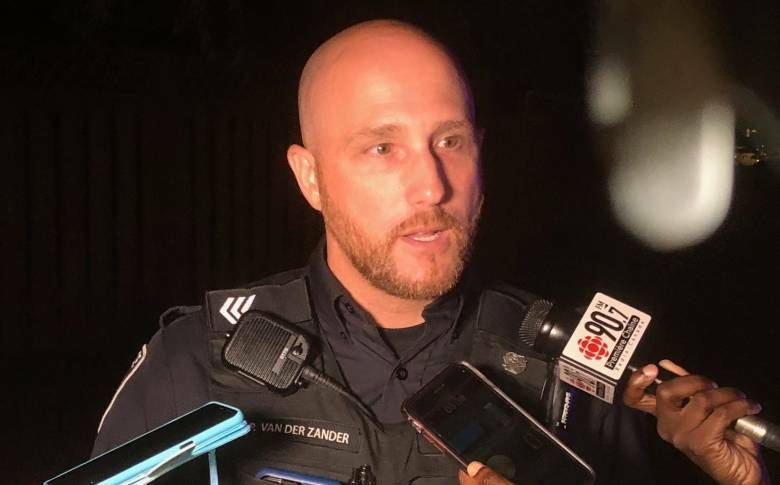 Based in 14 division, a busy downtown detachment, the officer continued with a few more texts — “apparently I’m chatty lol,” he wrote. Then, at 3:42 a.m., he sent a collage of photos of himself — one shirtless, others of him doing martial arts and a handstand at the beach. The text messages and photos were called “inappropriate” and “clear misconduct” by a police prosecutor at a Toronto police tribunal Thursday, where MacArthur pleaded guilty to one count of discreditable conduct under Ontario’s Police Services Act. Staff Sgt. Shane Branton read out an agreed statement of facts, stating MacArthur obtained the woman’s cellphone number from his partner after they made the arrest. Suggesting she’d had a “s----y day” was “too casual coming from an officer to a victim of a domestic dispute,” Branton said, adding the texts “violated the trust” the complainant would have had in police. “Albeit, he did send a message apologizing saying (the photos) were not meant for the victim,” Branton said, referring to MacArthur’s final text. The professional misconduct charge came after the woman complained to the Office of the Independent Police Review Director (OIPRD). She is not named in tribunal documents and was not present Thursday. Shortly after the incident the woman posted in Bunz Helping Zone, a popular local Facebook group, seeking advice. “I do believe he has it in him to be a productive member of this service,” Branton said. “This is a one-off mistake on his part,” Clewley said. The tribunal’s hearing officer, Acting. Supt. Peter Code, reserved his decision on the penalty. scum of the Ottawa Police.